The Seafire Resort & Spa is located a few minutes’ drive from the Yacht Club and offers superb accommodation and spa packages as well as a number of restaurants including the beautiful beach front Coccoloba. Located on-site, ProYacht offer a full range of service and maintenance options. Located on-site, ProYacht offer a full range of chandlery. 'Anchors' is the convenience store and bar located in the marina, and it can provide a wide range of convenience goods and alcoholic products as well as cleaning supplies and toiletries. There is a fuelling point on site at the marina for both boats and vehicles. There are trained first aiders on site and first aid kits available at the Marina Manager’s office. For any serious injury, please dial 911 for emergency assistance. Trincay Medical Centre in Camana Bay offers a range of medical services including urgent care. Cayman Dental and Cayman Orthodontics in Camana Bay provide a range of dental and orthodontic services. The marina staff can refer guests to an experienced pilot company, please contact the Marina Manager for further details. 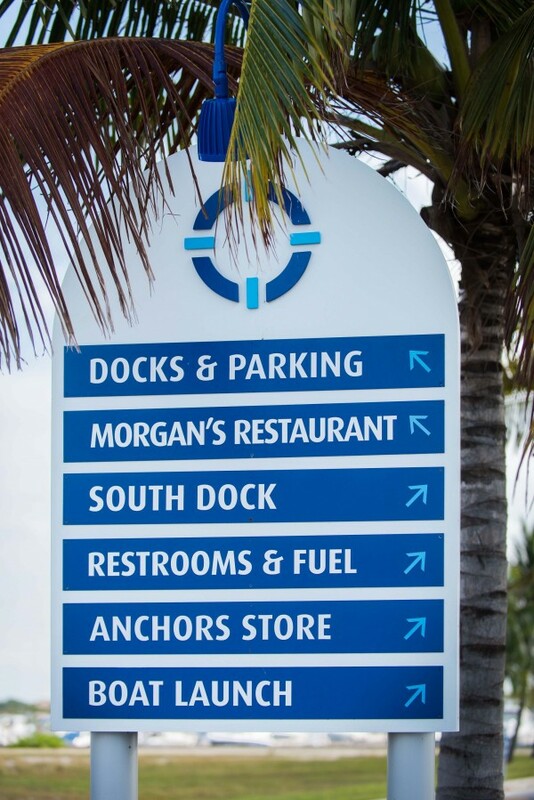 The Marina offers full pump out services on site. The nearest supermarket is Fostersin West Bay (approx. 5 mins drive). The town of Camana Bay is approx. 5 mins drive and hosts numerous shops and restaurants. There are a number of local Taxi companies.